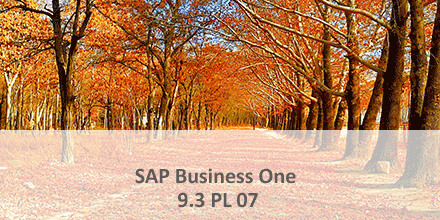 PL 07 allows to define Default Customers for A/R Invoice and Payment as Natural Person. This way you comply with the GDPR requirements. Administration > Setup > Financials > G/L Account Determination > G/L Account Determination > “Sales” tab > “General” tab > “Default Customer for A/R Invoice and Payment” field. Administration > Utilities > Data Protection Tools > Personal Data Management Wizard. In the wizard, select the activity “Determine Natural Person”. On the next page, in the “Business Partners” tab, select the option “Default Customers for A/R Invoice and Payment”, click on “Search” and complete the wizard. Sensitive personal data is now encrypted. The “Personal Data Management Wizard“ allows you to clean up the one time customer’s personal data in “A/R Invoice and Payment“. After cleanup, sensitive data such as name and address are represented as *. With PL 07, several potential issues in the add-on Datev2LW were fixed.